in LeRoy he undoubtedly became aware of Mackinac Island. Only a few miles from his home in LeRoy was the town of Mackinaw, Illinois. This Mackinaw was named by the fur traders who spent the winters in Illinois and the summers on Mackinac Island. This was the peak of fur trading times. In 1841, at the age of 29, he and Belinda moved to Cincinnati, Ohio, the 6th largest city in America. Here he started a paint company. Demand for paint was great because homes were now being made of wooden siding rather than logs. Siding needed to be painted. He was apparently very successful. He also speculated in railroad stock and again in land development. His paint company was merged with others and today is the company Eagle Pitcher, a Fortune 500 company that makes appliance paint and batteries for space vehicles. land developer in Edgar could not help but be impressed by the potential of northern Michigan. James Strang, of Beaver Island, was the region’s legislator, and he was bringing government and roads to northern Michigan. 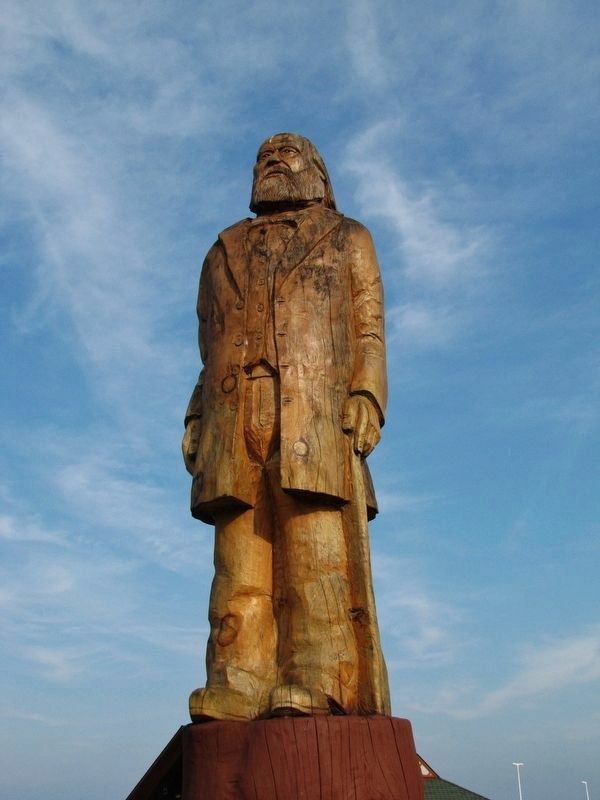 In 1853, he had the counties now named Emmet and Cheboygan laid out and government organized. 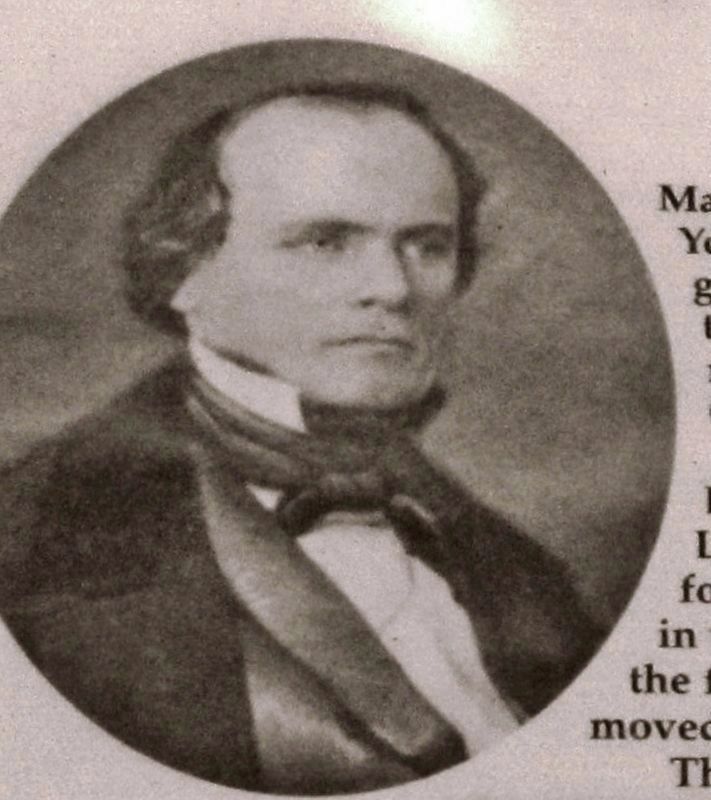 As a 2-time state representative in 1852 and 1854 he was constantly pushing for roads to connect Mackinaw to the north and south. Also, at this time the Soo locks were being constructed, and in 1855 they opened bringing large numbers of freighters past Mackinaw on their way to Chicago. The region was also receiving federal attention with a lightship parked at Waugoshance Point, and by 1856 a lighthouse was built on the site. No wonder Edgar foresaw this area as the Chicago of the north. Unfortunately, the bigger world again upset Edgar’s development plans. The Civil War interrupted railroad construction; Mackinaw languished until well after the Civil War. The first settlers did not arrive until the 1870s with the Stimpsons of Cheboygan moving here. The town is laid out in a dense square arrangement, not the long linear arrangement that St. Ignace is forced to deal with. In Edgar’s dream, with arriving train passengers filling the town, his street plan would facilitate walking access to all parts of town. Edgar even specified that sidewalks should be 5 feet wide, huge by most town’s standards. 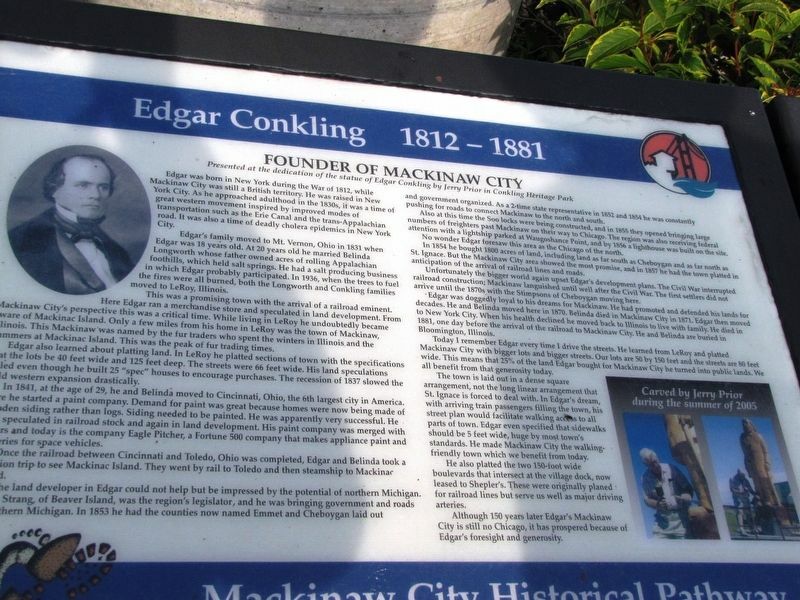 He made Mackinaw City the walking-friendly town which we benefit from today. He also platted the two 150-foot wide boulevards that intersect at the village dock, now leased to Shepler’s. These were originally planned for railroad lines but serve us well as major driving arteries. Erected by Mackinaw City Historical Pathway. Location. 45° 46.71′ N, 84° 43.539′ W. Marker is in Mackinaw City, Michigan, in Cheboygan County. Marker can be reached from South Huron Avenue north of Railroad Avenue, on the right when traveling north. Touch for map. Marker and Edgar Conkling tree trunk sculpture are located beside the sidewalk, near the center of Conkling Heritage Park. Marker is at or near this postal address: 335 South Huron Avenue, Mackinaw City MI 49701, United States of America. Touch for directions. Other nearby markers. At least 8 other markers are within walking distance of this marker. Mackinaw City Railroad Dock / USCG Cutter Mackinaw WAGB 83 (about 400 feet away, measured in a direct line); Michigan State Ferry System / Michigan State Car Ferries (about 500 feet away); Mackinaw's Civil War Cannons (approx. 0.2 miles away); The Algomah (approx. 0.2 miles away); Mackinaw, Mackinac or Michilimackinac? (approx. 0.2 miles away); Mackinaw City (approx. 0.2 miles away); Iron Horse (approx. 0.2 miles away); Chief Wawatam (approx. 0.2 miles away). Touch for a list and map of all markers in Mackinaw City. More. Search the internet for Edgar Conkling 1812-1881. Credits. This page was last revised on April 8, 2019. This page originally submitted on April 1, 2019, by Cosmos Mariner of Cape Canaveral, Florida. This page has been viewed 65 times since then. Photos: 1, 2, 3. submitted on April 4, 2019, by Cosmos Mariner of Cape Canaveral, Florida.